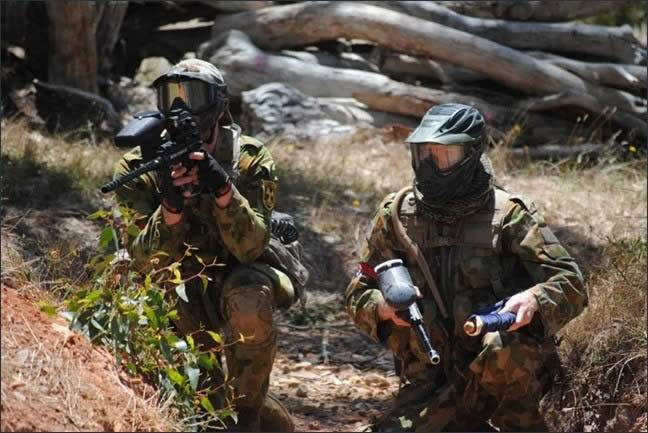 Your Number 1 paintball experience around Adelaide! You can book online at any time of the night or day. find out more You can play for as long or as little as you want. Pick the paintball package that suits you. At Kuitpo there are 9 awesome playing fields with more under construction. find out more You don’t have to go far from the city for paintball sports in the great outdoors. You don’t have to go far from Adelaide for paintballing in the great outdoors. A fun activity for young or old – an action packed day at South Australia’s premier Paintball Park. Just jump in the car and head to South Australia’s most popular paintball park. Imagine being armed with your paintball gun. Your objective is to eliminate the opposition and look after your own team mates. Think of yourself running through trenches, hiding in bunkers, protecting forts. It’s all part of the fun and strategy. And you do it all on 114 acres of open spaces and natural bush surroundings in the Adelaide hills. Take your pick of multiple playing fields. It’s as close as you’ll get to an intense, real life, combat situation. Test your resolve and push yourself to the limits! If you want quiet time alone, this is NOT for you! The paintball park is so big; you could paintball with up to 200 people in massive bush warfare! But it doesn’t matter if you have a big group or small group, you’ll still have an adrenaline pumping, action packed day. 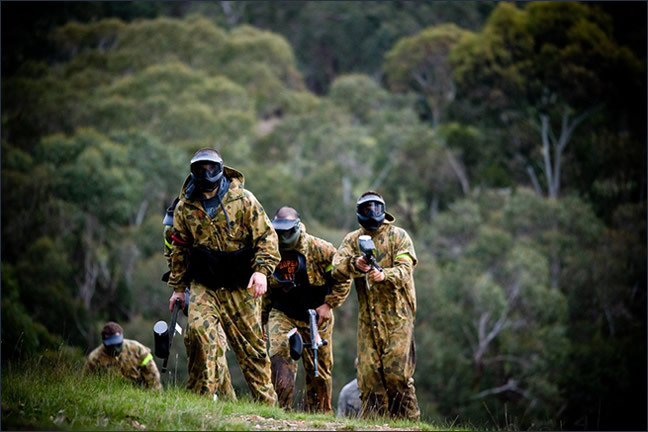 Be the “Ultimate Soldier” for a day at South Australia’s biggest and best Paintball park.